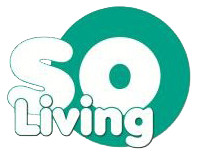 SO Living is a trading name and part of Plymouth Community Homes Ltd. When being considered for shared ownership through SO Living we collect and process your personal information to assess your affordability and sustainability to purchase a home through the Help To Buy scheme. The legal basis for processing this personal data is that you wish to progress your application which may lead to a contract with us. Plymouth Community Homes collects information from you when you provide documentation, when you complete one of our forms either online or paper based, write, call, email or meet with us or respond to a survey. We will also obtain a copy of your application from Help To Buy which contains your personal information. We may collect information when you use our social media sites, e.g. Facebook or Twitter or our website. For more information refer to the separate Privacy Notice for SO Living website users or request a paper copy. We operate a CCTV system at Plumer House in pursuit of our legitimate interests of building security and the detection and prevention of crime. For more information refer to the separate Privacy Notice for CCTV at Plumer House or request a paper copy. Photographs – We may take photographs at our events and in our communities to use for general marketing and publicity. However, photographs of individuals will only be used for those purposes with your consent. Under data protection legislation certain personal information is classed as special category. This information includes racial or ethnic origin, religious or philosophical beliefs, data concerning health and data about sexual orientation. We minimise our holding and use of special category personal information but, given the services we provide, there are times when we use it to understand our customers and their needs better. Any special category data we may hold about you will have been obtained from your Help To Buy application form. We will normally only collect special category data with your explicit consent and you have a right to withdraw this consent at any time. However, if you do not wish us to process this data, it may have an impact on the services we provide to you. •	This is normally a maximum of six years after you cease to be a leaseholder with us or you become a freeholder. •	If when you cease to become a leaseholder there is an outstanding debt your information will be retained in pursuit of our legitimate interests in recovering that debt. •	Recorded telephone conversations are usually kept for up to 12 months. Recorded calls that are deemed abusive or threatening are kept until any investigation action is completed. •	We will retain CCTV video footage at Plumer House for no more than 10 weeks unless the footage is being used to investigate an alleged crime or incident in which case it may be retained for up to 2 years following the conclusion of any investigation. •	If you have consented to having your photograph taken, consent given is valid for three years, after which the images and recordings will be either securely destroyed or archived. Group shot photographs will be archived and photographs of individuals securely destroyed. If we’d like to use any individual material after three years, we will contact you to ask if you would be willing to renew your consent. •	For the detection and prevention of crime, money laundering, prosecution of offenders and for the detection and prevention of fraud. •	Building contractors relating to property defects etc. •	We also share personal information with the Government (Ministry for Housing Communities and Local Government) for research and statistical purposes. For more information on what we share and why please see the Privacy Notice for tenants/buyers of social housing (CORE) on our website or request a copy from the SO Living Team. means that your data may be stored electronically outside of Europe. • The Right to be Informed about how your data is managed – this right is met by this privacy notice and a range of other notices which relate to specific aspects of PCH, such as the CCTV privacy notice and the website privacy notice. • The Right of Access to your personal information – so that you can be aware of and verify what personal data we hold. Click here or details on how to apply for this right or ask us for more information. • The Right of Rectification – to have any personal data corrected if it is inaccurate, incomplete or out of date. • The Right of Erasure of your personal data – this only applies in certain circumstances, such as where you have given consent for us to hold information and you withdraw that consent. • The Right to object – in certain circumstances, to the processing of personal data. In particular you have the right to object to being sent direct marketing information.